We are a family owned bounce house business. We have a bounce castle/slide and a large Toy Story 3 bounce house and (more to come). We Love working at events and will travel within an hour of Post Falls. We do all the work: set up, tear down and operating during all events. No need to find volunteers. We like to setup at least 2 different jumpers in order to keep things running smooth and to keep older kids and younger kids seperate as much as possible. If electricity is not available we can use a generator. We would love to be a part of your special event! Please give a call if you have any further questions! 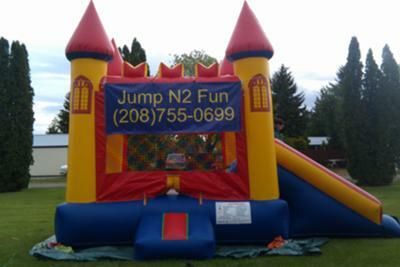 JR or Summer Cantrall/JUMP N2 FUN @ 208-755-0699.